I have read a string of contemporaries with main characters that are dealing with some pretty heavy stuff. Valley Girls falls into that category, but ended on a more hopeful note which made it slightly easier to digest. Rilla, the main character, has been put on a bus by her parents in West Virginia to live with her older sister who is working as a park ranger in Yosemite. Rilla isn't thrilled about this development and she's not an outdoorsy sort, so she isn't sure how things are going to go down once she arrives. On her journey west, she promises herself that she will clean up her act and stop smoking, but not even twenty four hours after she arrives at Yosemite, she is waiting in a cell for underage drinking. Rilla isn't off to the best start, but things change when she decides to go climbing with Walker, an intriguing and handsome guy who does search and rescue missions in his spare time. I'm often drawn to stories that have people experiencing nature. I'm not sure why this is as I wouldn't call myself adventurous or a nature lover, but there is something about the freedom that comes with wide open spaces that appeals to me. I found during my time living in the Pacific Northwest that I enjoyed hiking, but I haven't done much since I moved back to the East Coast. Perhaps this is due to the humidity here in the East (I loved the Pacific Northwest weather) or maybe its just the lack of free time now that I have added mom to my job description. Regardless of the reason, these days I choose to live vicariously through characters in the hopes that one day I'll be inspired to lace up my hiking boots once more. Rilla's time in Yosemite certainly made me crave some beautiful scenery. At its core, Valley Girls is a story about redemption. Rilla must redeem herself in the eyes of her family and repair broken relationships. She will also get a second chance after making some poor decisions while trying to decide if her heart is worthy of a non-toxic sort of romance. While I wasn't a fan of Rilla in the beginning, I could appreciate the journey she undertook to become stronger by the end. My biggest complaint with Rilla in the earlier chapters is that she is immature and short sighted. She doesn't stop to consider how her actions impact anyone other than herself, but this is partly to blame for her being sent to Yosemite in the first place. 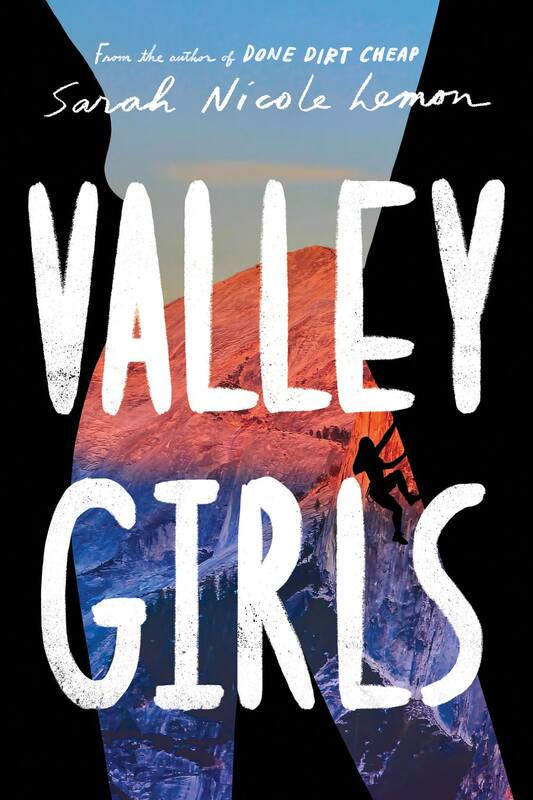 Characters aside, the true star of this novel is Yosemite and its climbing community. This is truly a love story to all those who have ever scaled a peak. I have never had climbing on my bucket list, but this novel makes me want to give it a go. There is also symbolism in the physical journey of climbing and how it parallels the barriers we all have to conquer in life. One Last Gripe: I might have put this one aside if the supporting characters and setting hadn't been so compelling. As mentioned in the review, Rilla isn't a likable main character. First Sentence: Shadowy palms wavered in the streetlight, and a moon rose blue and waned over the San Joaquin valley. When 17-year-old Rilla is busted for partying 24 hours into arriving in Yosemite National Park to live with her park ranger sister, it’s a come-to-Jesus moment. Determined to make up for her screw-up and create a stable new home for herself, Rilla charms her way into a tight-knit group of climbers. But Rilla can’t help but be seduced by experiences she couldn’t have imagined back home. She sets her sights on climbing El Capitan, one of the most challenging routes in Yosemite, and her summer becomes one harrowing and ecstatic experience after another: first climb, first fall two thousand feet in the air, first love. But becoming the person Rilla feels she was meant to be jeopardizes the reasons why she came to Yosemite—a bright new future and a second chance at sisterhood. When her family and her future are at odds, what will Rilla choose? I've never been to Yosemite, and don't think I've even read a book with this type of setting.